CRDi is stands for common rail direct injection. 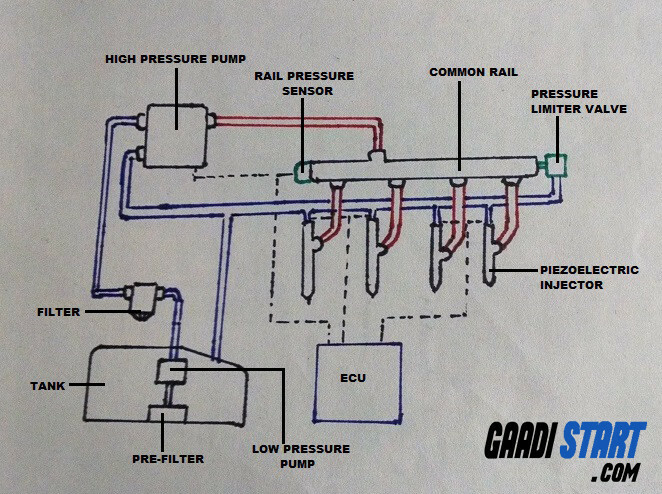 this means that fuel is injected directly into cylinder of diesel engine via single, common line called common rail which is connected to fuel injector.Apart from that, In the CRDi engines, a high pressure common rails used to inject the fuel in individual valves.In the modern generation engines this fuel injection system is used mostly because of technological advancement.In this method a common and single line is used to inject the fuel. This common line is connected to all the fuel injectors in the system, this common line is known as common rail. The CRDi technology works with the engine ECU which gets inputs from various sensors install in the engine. Then it calculates the precise quantity of fuel and timing of injection. The CRDi fuel system have components which are more intelligent in nature and controls them electrically. In addition to that, the previous generation injectors are replaced with more advanced injector which are electrically operated, solenoid injectors. They are opened by ECU signal, depending upon the variables such as engine accelaration, load, engine temperature etc. A Common Rail direct injection system uses ‘common for all cylinders’ fuel-rail or in simple words a 'fuel distribution pipe'. 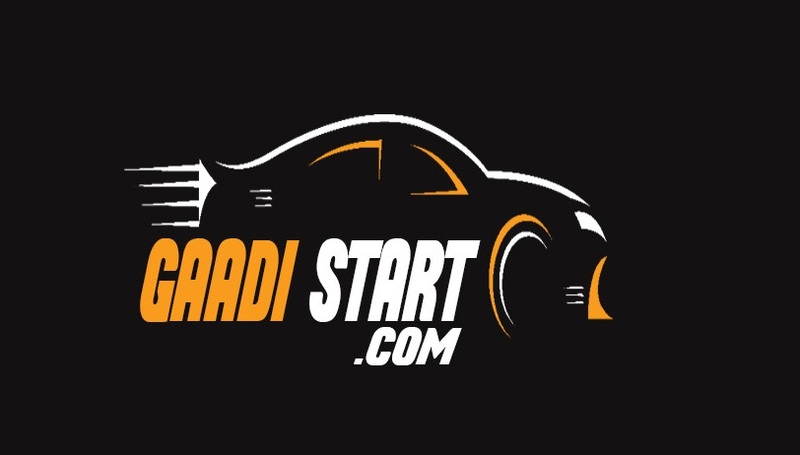 It maintains optimum fuel pressure and also acts as a fuel reservoir for all the injectors. In CRDi engine, the fuel-rail constantly stores and supplies the fuel to the solenoid valve injectors at the required pressure. This is quite opposite to the fuel injection pump supplying diesel thru’ independent fuel lines to injectors in case of earlier generation design. After the compression the fuel , high pressurized fuel is supplied to common rail. After this fuel is supplied to different injectors. Now, injector will finnaly inject the fuel to each cylinder. CRDi engine produced more power and torque. This engine has ability to increase engine power and torque by 35%. This technology increase the increase the efficiency of engine. this technology decrease tail pipe emissions. It also decrease noise and vibration on engine. The cost of technology is high. This technology is not applicable on all type of engine. 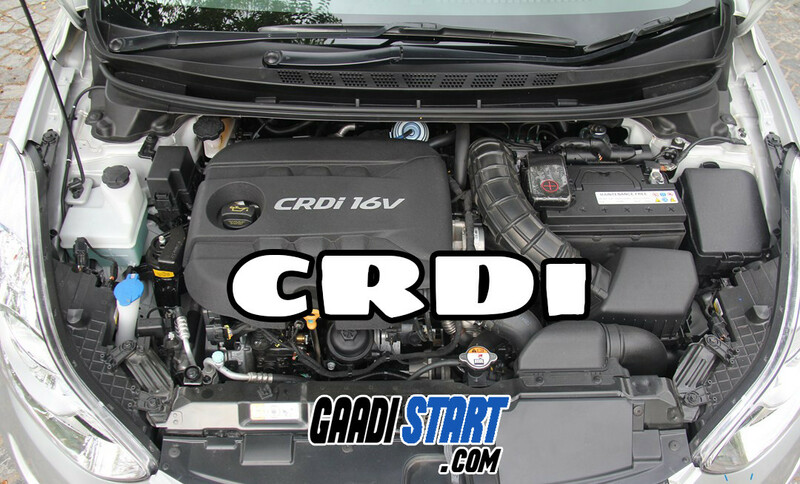 the cost of maintenance of CRDi engine is high. The cost of spare parts is also high.